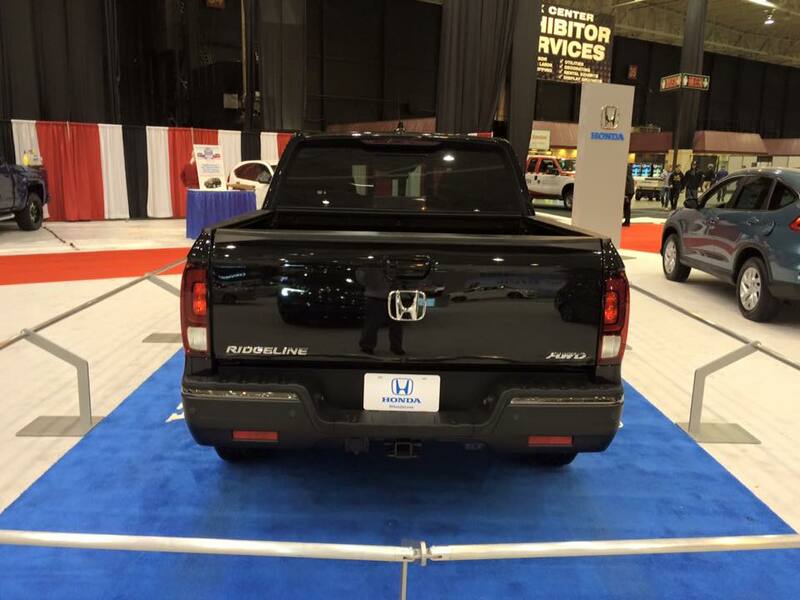 The 2017 Honda Ridgeline debuts in Northeast Ohio at the Cleveland Auto Show. After a few years out of the market, Honda worked to make this the best Ridgeline ever. You’ll notice the new exterior style, thin front headlights, wide front grille and leading lines and creases down the side. A dual-action tailgate returns. This means you can fold the tailgate down the traditional way, or use the side hinge to open the tailgate wide, just as you would with a traditional truck. New in-bed trunk options and rear seat versatility provide for more storage than ever before. 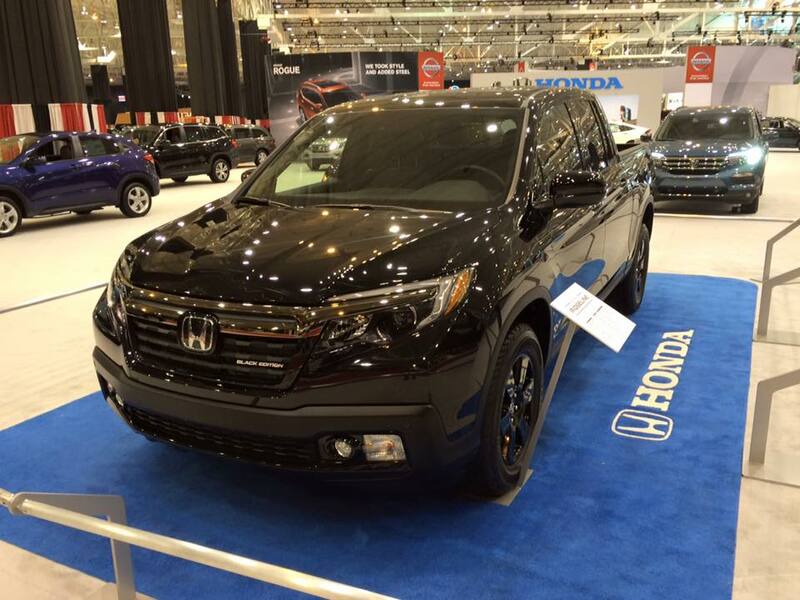 We expect to get the first Ridgeline in spring 2016. Contact us now, and we can put you on the waiting list for the first test drives. *Vehicle must be in Park or moving at less than 9 mph to activate Truck Bed Audio. **The Bluetooth® word mark and logos are owned by the Bluetooth SIG, Inc., and any use of such marks by Honda Motor Co., Ltd., is under license.